Something is happening right now that might be easy to miss. It’s the door closing on the possibility of reconciliation between Indigenous peoples and Canadians. We need to understand this, and address it. Injustices against Indigenous people have been a reality since well before Canada became a country, and ongoing injustices are well documented. Still, somehow there has been hope of renewed positive relationships among Canadians and Indigenous peoples and of a better understanding that we are all treaty people residing on Indigenous land. Recent events have underscored the gap between where we are now and where we need to be in this relationship. On February 9, the man who shot and killed 22-year-old Colten Boushie of Cree Red Pheasant First Nation was acquitted, despite the evidence. On February 22, the man accused of murdering 15-year-old Tina Fontaine of Sagkeeng First Nation was found not guilty. 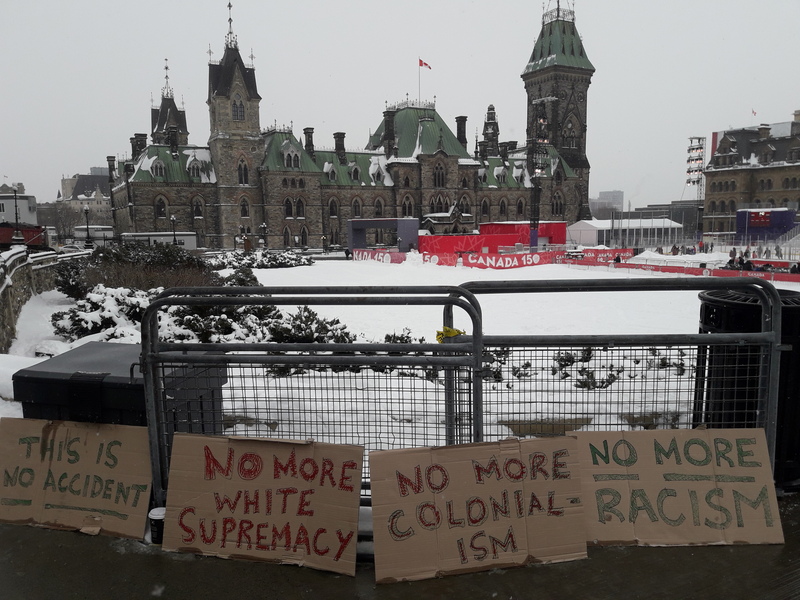 The injustices of these decisions, and of the circumstances leading to the deaths of both young people, are compounded by the expressions of racism that have been unleashed as Indigenous people and allies speak up about injustice. Many of us are horrified by these racist responses as well as by the injustices, but it’s time we acknowledge and address the racism embedded in our social, political and justice systems. Creating a positive relationship with the land and environment—our goal as people committed to sustainability—requires that we understand Canada as a society and political entity built through colonialism, on land that does not belong to most of us, and sustained through inequitable and unjust relationships. There is no way forward without that understanding. I’m often asked what allies can do to help. Here’s your chance. Be outraged with us. Stand with us. Demand change. Examine your own bias, at your workplace, in your government, at your dinner table. And then, come and get your cousins on social media, in MSM, everywhere.